Since 1960, styles and tastes have evolved. What has remained constant through all that change in the automotive industry? Our hassle-free automotive buying experience. We proudly serve the Seattle community and our dedication to total customer satisfaction has helped us grow to become the largest Subaru dealership in Washington State. It all starts with the Hassle-Free experience. The Carter Subaru family believes we are all connected in the Washington State Community. We care about Washington and specifically the environment, doing everything from Stevens Pass Mountain Resort season pass giveaways for area 5th graders, to planting thousands of trees in the Mountains to Sound Greenway. Come meet our team to experience our commitment to customer satisfaction and community ties! 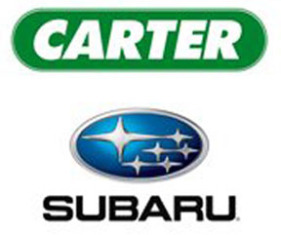 At Carter Subaru Shoreline, we stand by Hassle-Free not as a product, but as an attitude. As easy as it is to love a Subaru, we know price is still a factor in your buying decision. Hassle-Free buying starts with an honest price from the beginning, giving you a genuine experience you’ll be happy to tell your friends and family about.